The place which is free from any gravitational force is called as Anti-gravity. It is also known as a non-gravitational field. Also, it does not mean that due to the lack of gravity people suffer a lack of weight, or weightlessness because the force of gravity is balanced by another force such as aerodynamic force or electromagnetic force. Sometimes is incorrectly referred as reversed gravity under certain circumstances. In India, a place in Gujarat, known as Tulsishyam is claimed to be an anti-gravity spot. 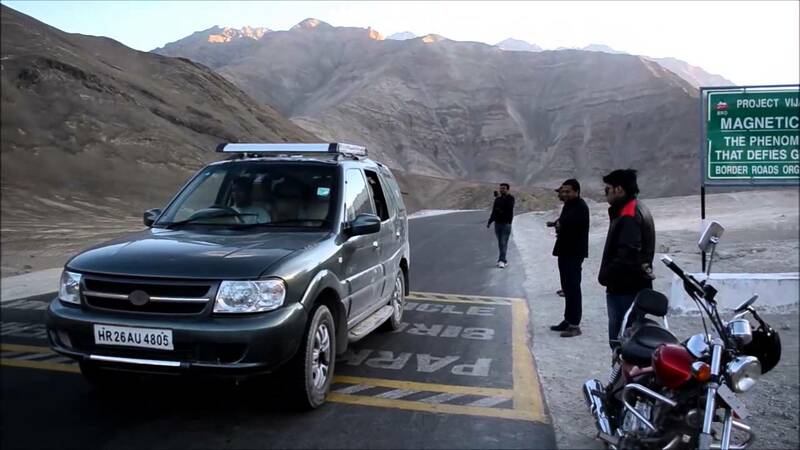 People reported that if vehicles are left without pulling the hand brake, they will start rolling up the hill breaking all laws of gravitational force. No actual theories explain this weird phenomenon. Another theory to explain this is “gravity hills”. There are many other gravity hills in India. Gravity hills may state a satisfactory answer for the happening in Tulsishyam. The geography of the surrounding slopes creates a visual illusion that the road is going down or going upward. So, when vehicles and cars move on that hill, it appears as if they are rolling uphill in opposition to gravity. 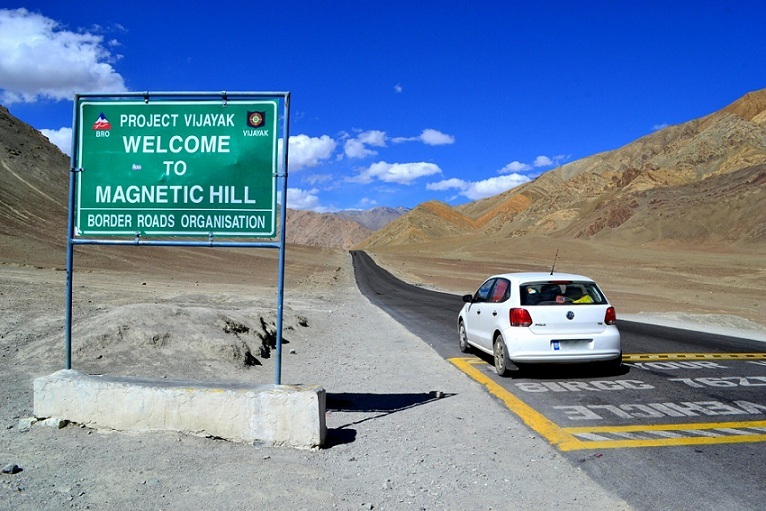 A small 30-km stretch from Leh to Kargil is a witness to this rare phenomenon. If you turn off your ignition and let the car move freely, you will find yourselves rolling up a hill with a speed of 20 km/ hr. The local villagers and residents have an entirely different angle of seeing the wonder. They believe this path goes straight to heaven and people get pulled upwards. They consider it as a supernatural phenomenon. People are however are amazed by the fact that our eyes can create an illusion of something opposite to how it really is. Electric Brae in Scotland and Gansu in China are also few examples of such places. Read also: Alcohol Might Exist In Space And Here Is The Proof! India Has A Rare Elephant Spa That Will Make You Jealous Of Elephants! 8 Different Sarees From Across The Country To Know About! Want To Be Alice And Visit Wonderland? Know All About Her Syndrome!